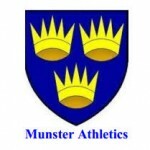 The weekend of the 6th and 7th of January was the turn of the Junior and U23s in the Munster Indoor Championships. Waterford A.C. had good representation across a number of disciplines and 8 medals to boot. Click read more for a recap of medals and some more pictures. For 2018 Waterford A.C. in conjunction with Brooklyn Restaurant Tramore are delighted to launch our 200 point league. This is an exciting new initiative open to all members that concentrates on participation. We hope members can use this as something to target during the year and win cash prizes. Click read more to find out more information. Adult membership for 2018 is open. We are delighted that WIT Arena have offered us the same deal for January. When renewing or signing up as a new member with Waterford A.C. you will have the option of adding full WIT Arena membership for €215. Membership can be paid online by clicking here. Club member Matteo Mary has been picked to represent Ireland on the U17 Development Squad at the upcoming Celtic Cross Country International in Antrim on January 7th. This is a great achievement by Matteo and his Coach Derek Grant. All at the club wish him the best of luck. Waterford AC Half Marathon another huge success, Munster X Country, National Race Walking Championships, European X Country Championships, Awards, New Athletics Book, Criganore National Fixture.